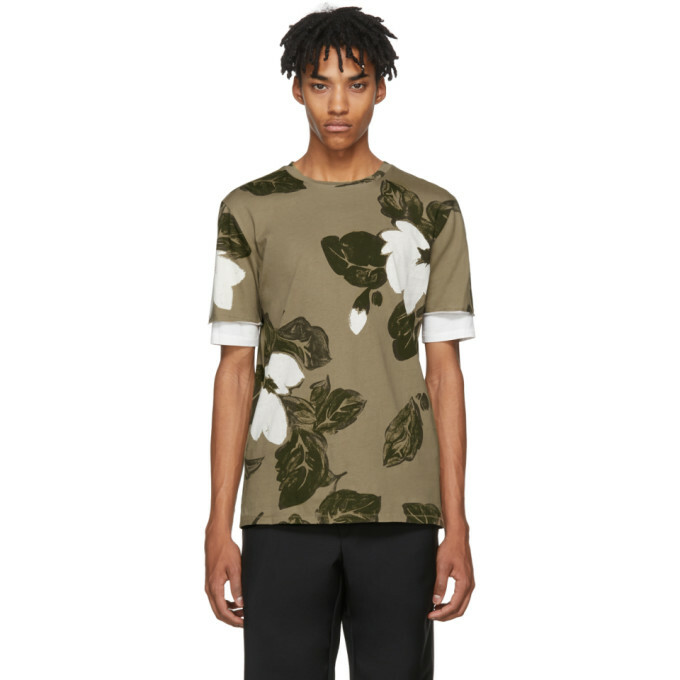 Short sleeve cotton jersey t shirt featuring night floral pattern in tones of army green and off white. Rib knit crewneck collar. Raw edge and off white underlay at layered sleeves. Tonal stitching.